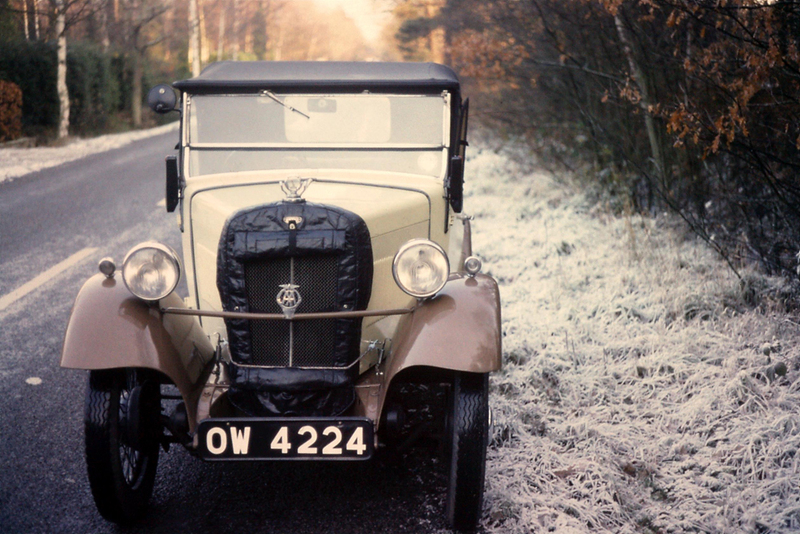 In January 1975 Paul Harris was the custodian of 1934 Minor Two-seater OW 4224. On a very frosty morning he took his car for a run around the by-ways of rural Berkshire, this shot (scanned from a 35mm slide) was taken near his home in Wokingham. To read more about Paul’s Minors follow this link to a spring 1979 article he wrote for the Morris Register Journal.